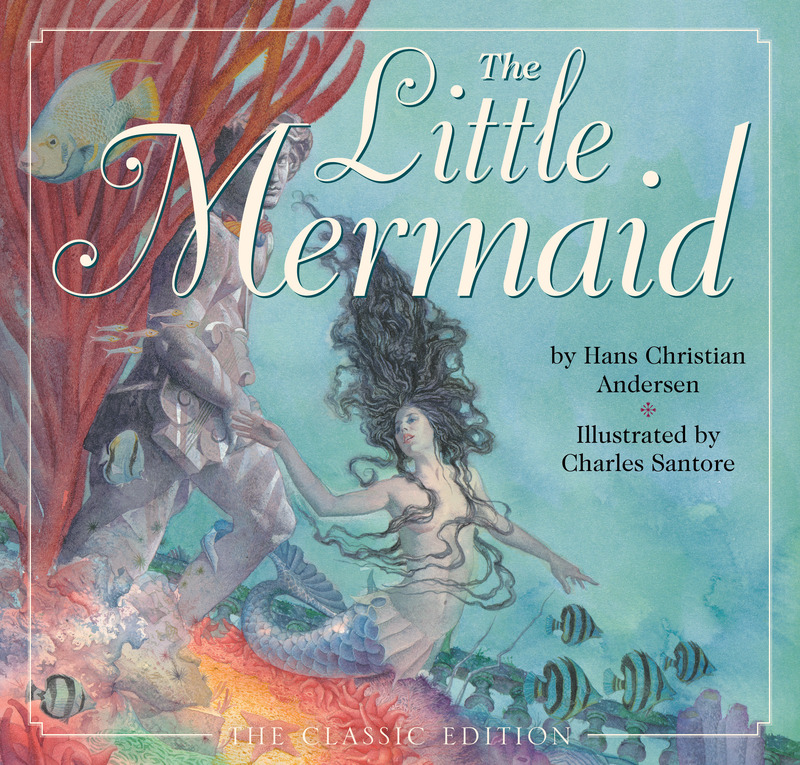 The beloved tale of The Little Mermaid is faithfully reproduced in this new edition of Hans Christian Anderson’s classic. Original art by critically acclaimed New York Times bestselling illustrator Charles Santore is masterfully reproduced using the most advanced technology to bring these breathtaking illustrations to life like never before. The vivid colors and captivating spreads make this beautiful story one to be treasured in every home. The Little Mermaid is a timeless classic that has fascinated readers young and old for many generations. The adventures of the young mermaid princess splash life across the pages of a story full of belonging, hope, love and sacrifice. This new edition embodies beautiful original artwork by Charles Santore, masterfully reproduced with the latest technology available, containing vivid colors and captivating illustrations that make every page an unrivaled masterpiece. The sharp contrast of life under the sea and on the land is captured with these magnificent depictions of the story. In reviewing the original Santore artwork, the School Library Journal wrote, “Through his clever use of contrasting palettes, the illustrations create two distinct worlds: the ethereal blues and greens of the Sea King's undersea realm, and the sun-drenched reds and golds of the prince's domain.” Children and adults are sure to treasure this book and all it encompasses for many years to come.